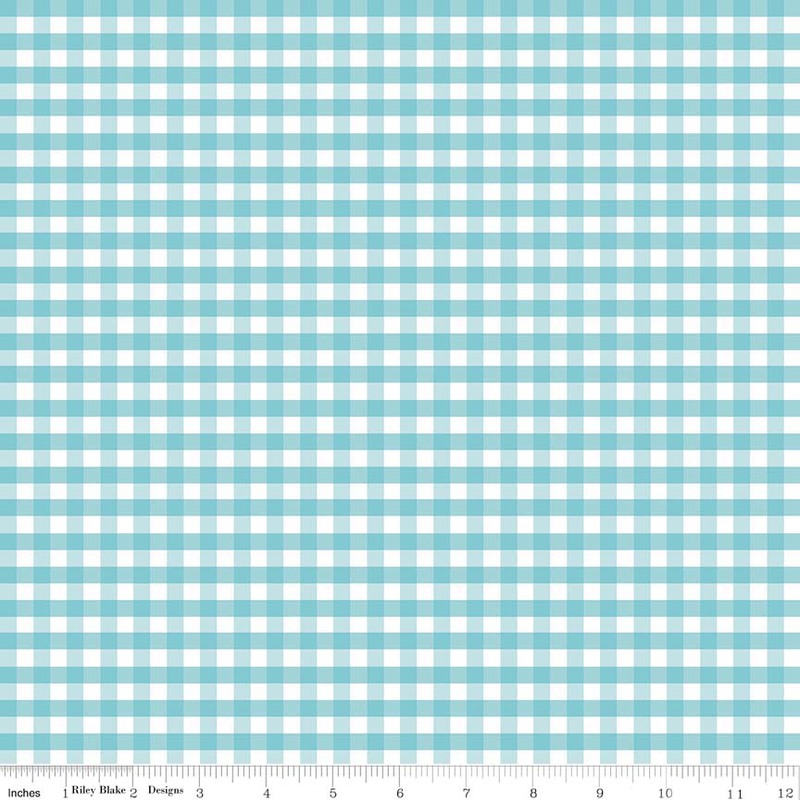 Riley Blake Designs "Medium Gingham" by The RBD Designers. 100% cotton, pattern C450-20 Aqua. Squares measure 1/4".